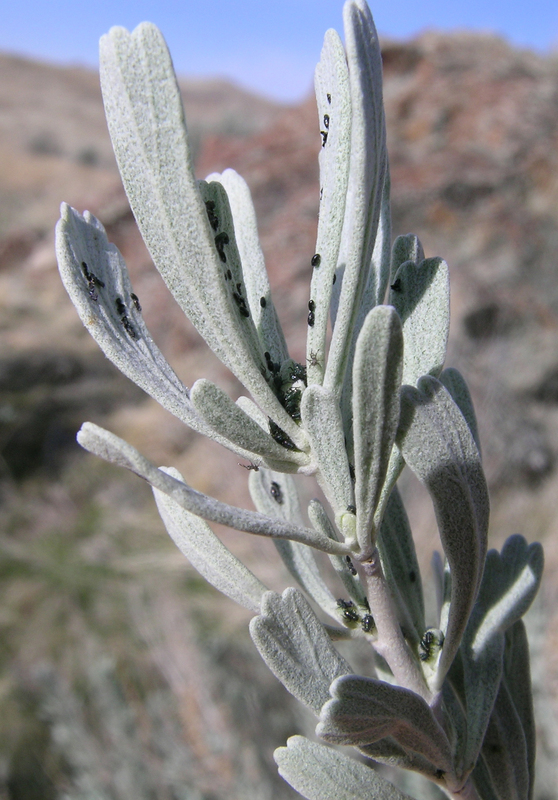 I really enjoy this genus, feeling like it is an old friend as I walk, camp, explore the sagebrush lands of the west. It is easy to find from the sandy deserts of Utah to the high mountain slopes of Idaho. This is another example of a group in which I think species-level taxonomy is so poorly understood that I rarely place a species name on specimens in my collection. 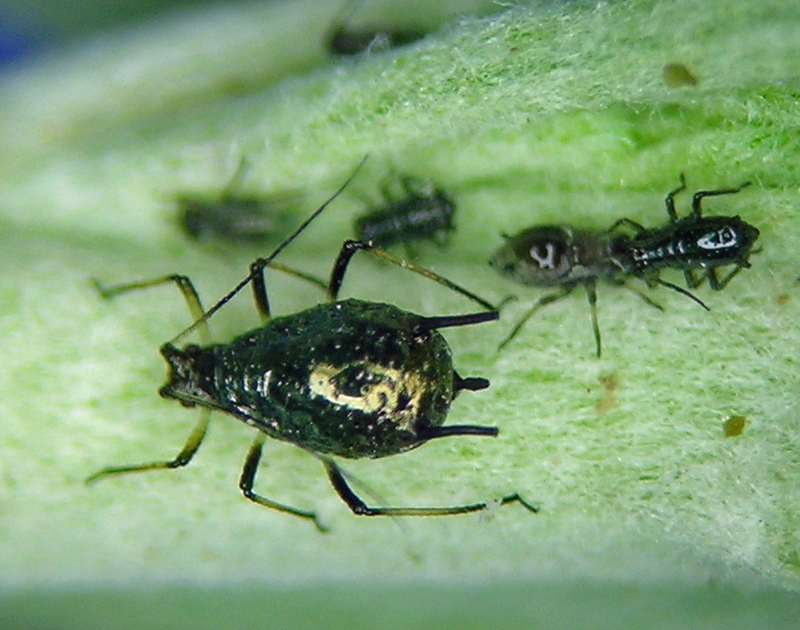 It seems likely that the green form and the black form are different species, and then when cleared and mounted the ones with dark coxae seem like probably a different species from the ones with pale coxae, but I am just not sure. Lots more study of the material at hand might resolve the situation, but I simply lack the time. 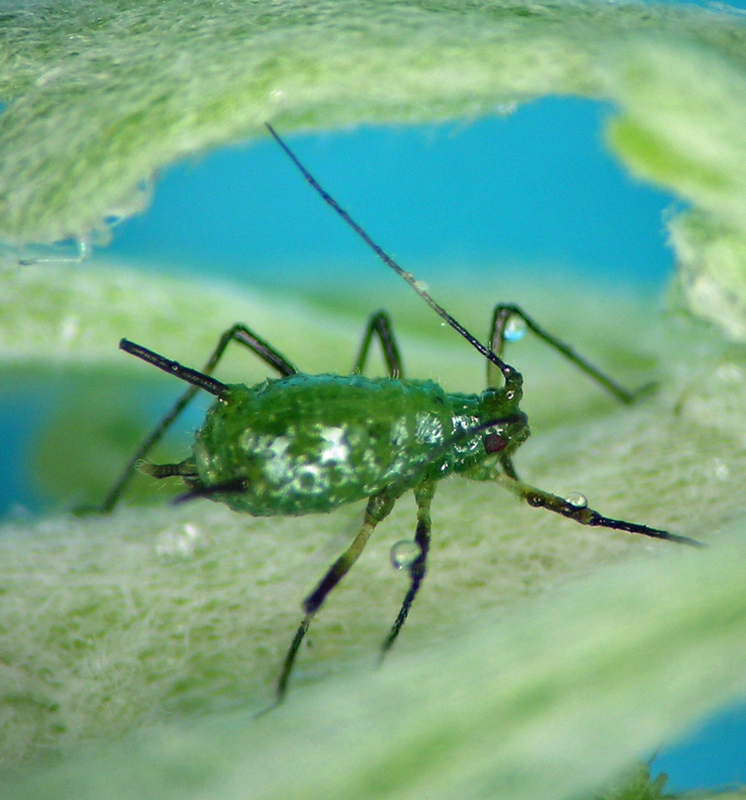 Obtusicauda is unusual for the aphids I study in that the oviparae lay eggs in massive groups at the ends of young shoots. Then the fundatrices hatch together and form dense gatherings in the spring. During the summer in the mountains Obtusicauda is a frequent migrant colonist — alate viviparae can be found on the edge of ‘spring’ all summer as the season crawls up the mountain slopes, the snow banks melt, etc. It seems obvious that a lot of the Obtusicauda at high elevations are colonizing from lower elevations. I cannot say whether it seems that such high elevation colonies then remigrate to the low lands in fall. Obtusicauda fundatrices hatching from eggs near Leslie Gulch, Oregon. Obtusicauda from scrub land east of Horseshoe Bend, Idaho.